phpMyAdmin is a free software tool written in PHP intended to handle the administration of MySQL over the web. 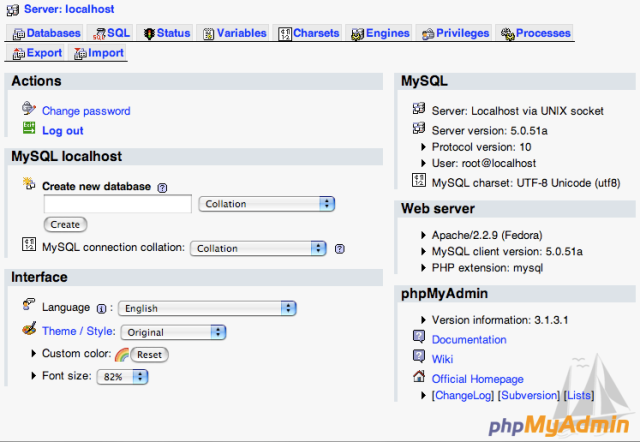 phpMyAdmin supports a wide range of operations with MySQL. The most frequently used operations are supported by the user interface (managing databases, tables, fields, relations, indexes, users, permissions, etc), while you still have the ability to directly execute any SQL statement.